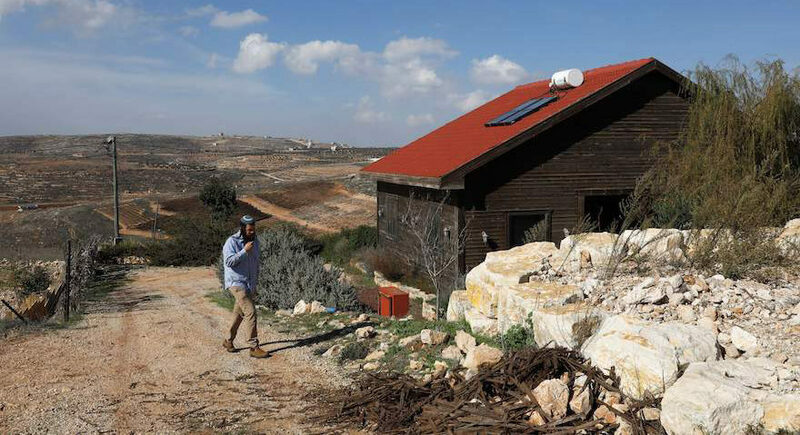 Airbnb isn't boycotting Israel; Airbnb is boycotting Israel; Trump right about Golan – J. Rob Gloster quotes Gerald Steinberg as saying that Airbnb’s announcement that it was delisting 200 property listings in West Bank settlements was “a turning point for the BDS movement.” Nowhere in the article is the critical point made that this decision is not a boycott against the State of Israel—it is a boycott against settlements that are in the West Bank, which is under Israeli military control but has not been annexed by Israel. The BDS movement is aimed squarely at the State of Israel and has as its goal the end of Zionism. By ignoring the Green Line separating Israel from the West Bank and conflating the whole area as the State of Israel, Mr. Steinberg is aligning himself and his organization, NGO Monitor, with those who would themselves end Zionism as envisaged by its founders as a democratic Jewish state. Ironically Airbnb, by having a flourishing business relationship with the State of Israel and by recognizing the Green Line that separates it from the West Bank while emphatically rejecting the BDS movement, is doing more to protect Israel’s future than Mr. Steinberg. Apparently, for at least one J. reader, distorting the words of professor Gerald Steinberg, president of NGO Monitor, is a worthwhile enterprise (“Airbnb isn’t boycotting Israel,” Letters, March 22). However, playing “who is a real Zionist” is a poor stand-in for fact-based analysis. As professor Steinberg discussed in Palo Alto on March 13, Airbnb — consciously or not — has joined the tiny group of businesses involved in anti-Israel boycott campaigns. And Human Rights Watch, which is a BDS leader, has taken credit, following two years of lobbying and pressure. Singling out Israel, specifically Jewish Israelis, for delegitimization is a core HRW policy that his motivated by anti-Zionist ideology. Its Airbnb campaign is closely linked to the NGO-led effort in the U.N. Human Rights Council to blacklist hundreds of Israeli and American businesses. Under the facade of international law, the U.N. even seeks to blacklist firms contracted by the Palestinian government for services. Airbnb is now facing a number of discrimination lawsuits, and in some parts of the U.S., state employees can no longer receive compensation for using its services. The costs to Airbnb reflect the consequences of confusion between business decisions and attempts to influence complex geopolitical disputes. 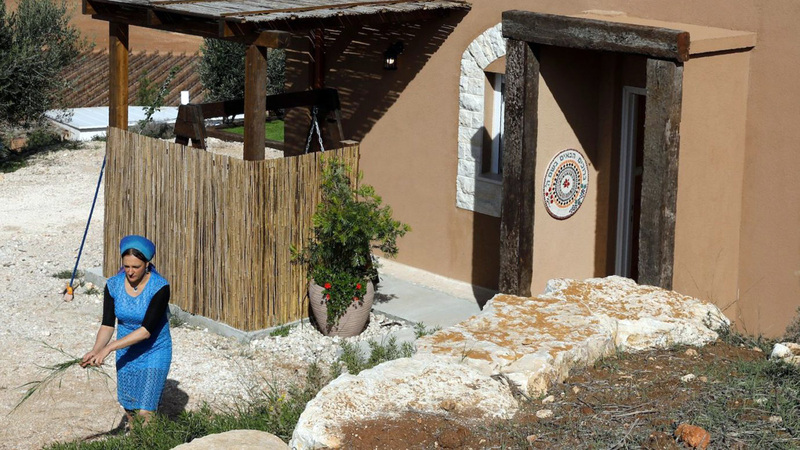 It is not too late for Airbnb to acknowledge its mistake in lending its name to BDS hate and prevent further damage. U.S. recognition of Israeli sovereignty on the Golan Heights is not just acknowledgment that Israel was justified in capturing and retaining the Heights after 21 years of relentless Syrian aggression while it controlled the Golan, but as part of a larger strategic agreement that Israel blocks Iran and Hezbollah from dominating Syria as they now do in Lebanon. The U.S. can keep minimal forces in Syria without a repeat of the Iraq War debacle, while Israel and the Kurdish Syrians do the actual fighting. I was a volunteer on Kibbutz Gonen that bordered the Golan when the 1973 Yom Kippur War began. I was in a shelter for three weeks as the Syrian onslaught almost captured the whole Golan and a few brave Israeli tank corpsmen, almost all of whom were killed or maimed, held off 600 Syrian tanks during the crucial first days of the war. I can attest to the strategic importance of the Golan for Israel defense. The Israeli public and both the Israeli and U.S. military understand that Israel must retain control of the Golan as long as aggressors intent on Israel’s destruction seek to use the Golan to launch attacks on Israel. After 52 years reality is clear. The Golan is as much a part of Israel now as California is to the United States. Israel counterterror capabilities and its military efforts to restrict Iranian and Hezbollah encroachment in Syria serve U.S. interests. The Israelis use their acumen and pay with their blood and treasure. The U.S. reciprocates with diplomatic and armaments support. That’s how Israel serves U.S. interests, and the Golan recognition is part of the bargain. I’m no fan of President Trump, but his decision to recognize Israeli sovereignty over the Golan Heights deserves praise. First, Israel’s pre-June 1967 border with Syria was indefensible. Syria used the Golan’s highlands to shell Israeli farms and villages in the Galilee below and as a base for Yasser Arafat’s terror raids. Since 1967, the border has been mostly quiet. Given Syria’s instability and Iran’s menacing presence there, the Golan is essential to Israeli self-defense. Second, the Golan contains the Jordan River’s headwaters. In the 1960s, Syria tried to divert the source of Israel’s vital water supply, nearly triggering war. Keeping the Golan protects Israel’s water. Third, recognizing Israeli sovereignty rewards Israel’s human rights efforts. The Golan’s 50,000 residents are evenly divided between Arab Druze and Jews, who enjoy good relations. Israel’s control of the Golan has allowed it to shield its residents from Syria’s civil war bloodbath; rescue and treat 4,000 wounded Syrian rebels; and provide food and medicine to 300,000 Syrian civilians just across the border. Fourth, Israel keeping the Golan exacts a permanent price from Syrian President Bashar Assad for his genocidal barbarism—including using chemical weapons against civilians—that has killed 600,000 people. Fifth, the Golan contains Jewish archaeological treasures like Gamla that, if relinquished, could be destroyed like Palmyra in Syria; Nimrod in Iraq; the Buddhas of Bamyan, Afghanistan; Rachel’s Tomb in Bethlehem; and the Jericho synagogue. Finally, the United Nations’ objections reek of hypocrisy. The U.N. effectively set the Six-Day War in motion by capitulating to Egypt’s May 1967 demand that it withdraw U.N. peacekeepers from the Egyptian-Israeli border so Egypt could attack (and annihilate) Israel. The U.N. stood down and was willing to allow Holocaust II. Its only real regret is that Israel prevailed despite that betrayal. As a politically left-of-center first-time attendee at this year’s AIPAC policy conference, I was dismayed by the disparity in response to left- and right-wing politicians. Although AIPAC remains declaratively bipartisan, the crowd was distinctly right-leaning. Republican speakers tended to receive standing ovations after each thought. Democrats got mainly polite applause when they said something pleasing and only the occasional standing ovation for their most strident proclamations. And even AIPAC speakers were effusive in their adulation of President Trump. He has his own reasons for doing things of which AIPAC and the American Jewish community approve. Although he certainly basks in praise, he was not listening and did not need the fawning by AIPAC’s own speakers. It made multi-issue voters like me decidedly uncomfortable. And the cheap shots by politicians at each other’s parties, the attempts to turn the disrespected actions of individuals into condemnations of entire parties, the eagerness of the Republicans to turn Israel into a wedge issue, and the Democrats’ unwillingness to fight that through effective action against their own renegades were disappointing to say the least. I have been an AIPAC supporter for many years and will continue. Seeing them up front and personal in Washington was a bit of an eye opener. I cannot let go of Rep. Ilhan Omar’s ancient racist trope suggesting Jewish influence on American Middle East policy is “all about the Benjamins, baby.” I just can’t. I think of children, from my nephews to Jon Stewart, who had pennies strewn before them with the taunt, “Bend down and pick them up, Jew!” I could never have imagined hearing these disgraceful words from a representative to Congress. But I am following the Benjamins — to all the philanthropies Jews support out of proportion to their being less than 2 percent of the population. Just turn over the programs of the orchestra, ballet and art museum and see who the donors are. Look at who supports programming on NPR and PBS. Look at the names on university and hospital buildings in any major city, especially in the Bay Area. Jews donate to the ACLU disproportionately. Jews give generously to HIAS that supports all immigrants. For your finding safety and a new home on American shores, Ms. Omar, indeed listen to your words and say thank you to someone whose Benjamins may have helped you enter this country, as we are the people at the forefront of welcoming the stranger with those very Benjamins. 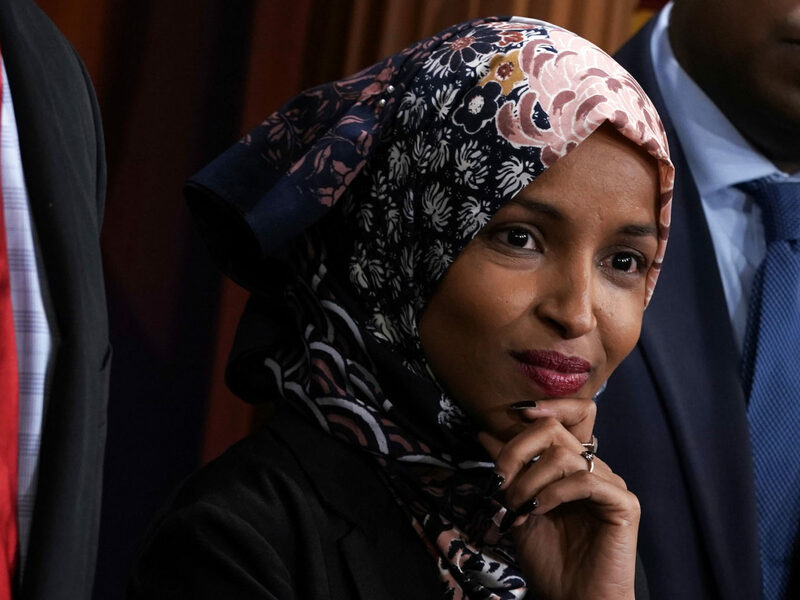 Rep. Ilhan Omar’s offensive anti-Semitic statements and, even more, the rationalizations made for them suggest that we are witnessing the normalization of anti-Semitism with the imprimatur of the U.S. House of Representatives. Describing support for Israel as ”all about the Benjamins, baby” or accusing Israel’s supporters of dual loyalty (“I want to talk about the political influence in this country that says it is OK to push for allegiance to a foreign country”) are shocking statements from any public official, let alone a sitting member of Congress. The House should have moved to censure Rep. Omar, who sits on the Foreign Affairs Committee, for such overtly bigoted statements. Instead a number of progressive Democrats rallied to Omar’s defense, objecting to her being singled out. Senators (and presidential candidates) Elizabeth Warren, Bernie Sanders, and Kamala Harris have also accused her critics of trying to stifle debate. Such comments are particularly pernicious. Historically portraying the perpetrator as the victim has often been integral to a narrative that justifies further, sometimes violent, acts of anti-Semitism. While House Speaker Nancy Pelosi and other party leaders tried to craft a resolution condemning anti-Semitism, the final H.Res. 183 was a more general condemnation of all types of hate. That would have been good under other circumstances, but here the failure to censure was validation. Very simply, she won and she knows it. Jeremy Corbyn in the United Kingdom uses the same general strategy of making clearly anti-Semitic statements and then redirecting the public discussion to avoid responsibility for his own actions. We must demand accountability from our elected officials and community institutions like J., which seems to have all but ignored this story. Otherwise our path may not lead to a good place. Many of Trump’s Jewish supporters voted for him because they believed he was stronger than Clinton in his “support for Israel” (in my view too often conflated with support for West Bank settlements). But rather than argue that point, I’d like to bring to their attention that Trump has been moving on not one but two tracks to provide nuclear power to Saudi Arabia, which doesn’t really need it with all its oil and sunshine. But as everyone knows, having nuclear power plants makes building nuclear weapons easier. Nor do I need to elaborate on why a fundamentalist Saudi Arabia with nuclear weapons is not good for Israel. So how is Trump working on two tracks to get nuclear power to Saudi Arabia? Not only was Michael Flynn, his former national security adviser, promoting Russian nuclear power plants to Saudi Arabia soon after the inauguration, but as recently as a month and a half ago, getting nuclear power plants, this time American, to Saudi Arabia was being discussed in the White House! Given that nuclear proliferation is an existential threat to humanity (as is manmade global warming, another existential threat Trump is making worse), I invite those of you who care about the long-term viability of Israel (not to mention civilization) to privately and even publicly, if you feel comfortable, to reconsider your support for him.